A unique instructional workbook designed to help beginners acquire the skills of strong intermediate players. 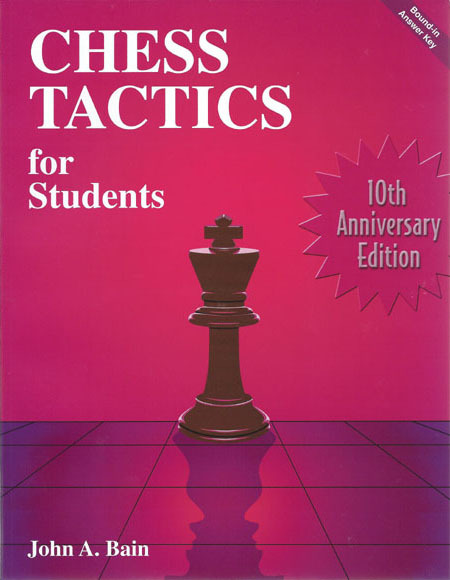 It introduces thirteen basic chess tactics in a variety of frequently encountered positional patterns. With hints to guide them, students solve tactical problems and use algebraic notation to record their answers on large easy-to-correct worksheets. Chess Tactics for Students is based on sound educational principles and was field-tested extensively over a four-year period with elementary, middle school, and high school students. It is ideal for both classroom instruction and chess clubs.